October 2012 - Midwest Sports Publishing Network, Inc.
Valcourt, QC, October 30, 2012 – BRP has added a new medium windshield for the just introduced REV-XS and REV-XM platform variations. 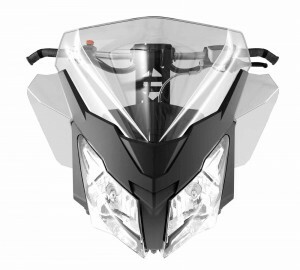 The windshield is 13.5 inches (34 cm) tall, providing an ideal fit for riders that want a little more protection while maintaining a great look. The new injection moulded windshield includes side deflectors, which accommodate mirrors (part number 860200083), and a medium windshield support that completes the kit. Using the injection process produces a clean, clear and consistent finish that allows for more complex shapes and contours to meet the design and quality standards riders expect form BRP. For information on all the genuine BRP accessories to fit your ride visit www.store.ski-doo.com or your local Ski-Doo dealer. Eagle River, WI — A 50th Anniversary is a big deal, no matter what event is being commemorated for the 50th time. And when it comes to the sport of snowmobile racing, there is no event bigger on the 2013 winter calendar than the upcoming 50th Anniversary Eagle River Snowmobile Derby, sponsored by Amsoil. Although the “Big Go” at Eagle River is still several months away, the crew at the Derby Track are already hard at work to make this year’s event one that racers and fans all across the snow belt will never forget. “We feel the 50th Anniversary of the Eagle River World Championship Snowmobile Derby is truly a historic milestone in the sport of snowmobiling. The entire crew here at the Derby is really excited to work with our title sponsor, Amsoil, as well as all of our affiliate sponsors, to make this event the coolest thing seen in snowmobile racing in many years,” enthused long-time Derby Track spokesperson Todd Achterberg. One aspect of the 50th Anniversary Derby that is generating a lot of buzz throughout the entire snowmobile industry is that invitations have been sent out to every past World Champion that won at Eagle River over the years to return to the Derby track and join in the festivities. There will be a ton of oval racing talent on hand this year, spanning six decades of competition at the historic event. In addition to the past Champion drivers, there will be a large number of past Championship winning sleds on display, or clones of those incredible racing sleds from yesteryear. For more information on the 50th Anniversary Eagle River World Championship Snowmobile Derby, as well as other upcoming events at the Derby Track, please visit their website at: www.derbytrack.com. Auburn Hills, Michigan, October 29, 2012 – Ram Truck brand announced today an official multi-year sponsorship of two-time FIM Snowcross World champion, six-time national snocross champion and 10-time ESPN Winter X Games medalist Tucker Hibbert. Hibbert, 28, is the most decorated snowmobile athlete in history. He is one of only three athletes to claim the gold (medal) five-peat and will compete for the first-ever gold six-peat at the 2013 Winter X Games in Aspen, Colo., Jan. 24-27. As part of the sponsorship, Ram will be recognized as the official truck partner of Hibbert and his Monster Energy/Arctic Cat team. Ram trucks will support Hibbert and his team throughout the International Series of Champions (ISOC) season and the 2013 Winter X Games. The snowmobile enthusiast market reflects a high proportion of truck owners and represents a new marketing and promotion venue for the Ram Truck brand. Each year, Hibbert’s team heads out in search for mountains with early snow to test their snowmobiles. Feet of snow cover the narrow mountain trails, but their Ram truck always powers through to get him and his crew to their testing destination. 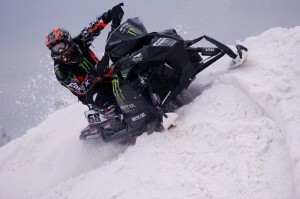 Hibbert’s first race is the ISOC National Snocross Series season open at Spirit Mountain in Duluth, Minn., Nov. 23-25. Snowmobilers have already experienced what I call a ‘Remember When’ moment in respect to Yellowstone National Park: remember when you could visit Yellowstone on your own snowmobile, with friends and family, at your own pace instead of having to be babysat by a commercial guide? It’s already been almost a decade since that previously ‘unthinkable’ change happened and we will soon have a generation of snowmobilers who can’t ‘remember when’ Yellowstone was a truly special snowmobiling experience because they never got to do it, ever. We are nearing what could become yet another unwelcome ‘remember when’ moment if snowmobilers don’t step up to comment in support of snowmobiling on the Shoshone National Forest. The Shoshone, not coincidentally, borders Yellowstone and was the very first national forest just as Yellowstone was the very first national park. Even though it’s a primarily nonmotorized forest with over 1.3 million acres of designated Wilderness, it hosts world-class snowmobiling opportunities in the Beartooths-Cooke City and Togwotee Pass-Brooks Lake-Continental Divide areas. This is it — after seven years of going to meetings and reviewing drafts, the public comment process for the Shoshone Forest Plan revision ends on November 1. While the final decision won’t be made until next year, this is the last opportunity for public comment about how the Shoshone National Forest should be managed for the next 10 to 20 years. 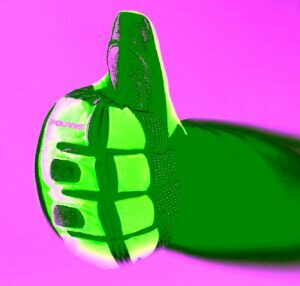 After November 1 only formal objections and appeals can be filed if you don’t like their final decision — and the kicker is that if you don’t comment on the draft plan now you won’t have ‘standing’ to file an objection if your snowmobile access ‘goes south’ in the final decision. I can’t stress enough how important it is for snowmobilers to speak up now in support of continued snowmobile access. If you don’t, be prepared to live with the consequences for at least a couple of decades if not forever since once access is lost it is next to impossible to get it back. The draft Forest Plan, EIS and management area maps can be viewed on the Shoshone’s web site at www.fs.usda.gov/shoshone. Alternative B is the Forest Service’s preliminary proposed action — meaning that’s where they are leaning today and is the basis for the draft management plan. While this is what they’re proposing to do, things could change based upon public comments or further analysis. While Alternative B treats snowmobiling access fairly well, beware that anti-snowmobile groups are pressuring the Forest Service — extremely, extremely, extremely hard — to close more of the Shoshone to snowmobiling by adding unfavorable restrictions to Alternative B.
I am a snowmobiler and continued snowmobiling access on the Shoshone National Forest is extremely important to me. I support Alternative B as long as it continues to keep all existing snowmobile trails open, as well as access open to all existing off-trail snowmobiling areas across the forest. I am very opposed to closing Two Ocean Mountain to snowmobiles to make it into an exclusive use, nonmotorized area. It should remain open for multiple winter recreation uses. I am very opposed to closing any areas currently open to snowmobiling in the Togwotee Pass and Brooks Lake areas. All areas currently open to snowmobiles should remain open for multiple winter uses. Since over 80% of the Shoshone National Forest is already designated as Wilderness or as open to only nonmotorized uses, I am opposed to establishing any more. Enough is enough and preference should be given to motorized recreation on the remaining 20% of the forest! Snowmobiling should continue to be allowed in the High Lakes Wilderness Study Area in the Beartooths since it is expressly permitted by law. Snowmobiling should be allowed to continue in all Inventoried Roadless Areas. Designated snowmobile trail routes should continue to be provided through all existing wildlife winter range areas. If new winter range areas are established, designated snowmobile trails should be provided through the new areas whenever new winter range would cut off access to open snowmobiling areas beyond the newly created winter range. One other thing snowmobilers need to do is look closely at Alternative B’s ‘winter motorized use’ area maps that are on their website (while these maps are small, you can enlarge them on your computer screen by selecting 200% or more). The Forest Service is saying that all ‘currently used’ snowmobiling areas will remain open under Alternative B. You need to truth-check this statement by looking closely at the maps to ensure ALL your favorite riding areas are, in fact, shown as open. If something is missing, you need to make note in your comment letter of exactly where these riding areas are located and ask the Forest Service to fix its error. WSSA will be submitting a very detailed comment letter to ensure snowmobilers have solid standing in the event a formal objection needs to be filed. If you identify any riding areas — big or small — which are not shown as ‘open’ to snowmobiling under Alternative B, please contact me at Trailswork@aol.com or 605-371-9799 as soon as possible (in advance of November 1) so we can identify and include all missing areas in WSSA’s comments. If you rely solely on the ‘someone else will do it’ mentality — to write in support of snowmobiling on the Shoshone National Forest — then don’t blame anyone but yourself if we end up with another Remember When: remember when we used to be able to ride Two Ocean, all of Togwotee Pass, all of the Continental Divide, all the Beartooths… Don’t let that happen, your help is needed now. MEDINA, MN (Oct. 25, 2012) – For the eighth consecutive year, state and provincial snowmobile organizations across North America are receiving contributions from the Polaris “Winning Riders” program, which generates support for the groups based on sales of new Polaris snowmobiles. From Newfoundland to Washington and Alaska to Quebec, snowmobile associations are receiving “Winning Riders” funds proportionate to the number of new Polaris snowmobiles sold within each state and province. Polaris is making contributions to snowmobile associations in 12 Canadian provinces and territories and 25 states in the United States. 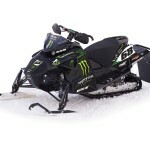 Polaris also announced it is extending the Winning Riders program through the 2013 sales season, meaning contributions will be made next year based on retail sales of new Polaris snowmobiles between April 1, 2012, and March 31, 2013. Polaris makes the “Winning Riders” contributions with “no strings attached,” allowing each state or province to decide how to use the funds it receives. Projects funded by Winning Riders donations in recent years have included membership drives, trail and grooming programs, legislative efforts, tourism promotion and more.